You’re absolutely right! 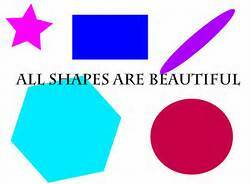 All shapes are beautiful. I went from a 112 pound rectangle to a 205 (marked down from 250) pound circle with toothpicks sticking out of it 😀 and I’m fabulous! Still have to look at maternity models to find my particular shape though.